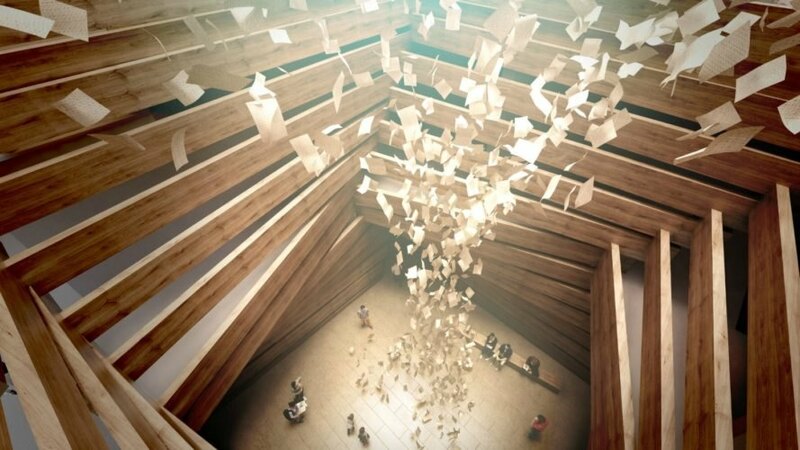 Prolific architect Kengo Kuma just unveiled plans for an amazing timber museum in Turkey. According to the architects, the Odunpazari Modern Art Museum will be an expansive complex made up of obliquely stacked wooden boxes, paying homage to the area’s traditional wooden Ottoman residences. The timber boxes, which are placed at irregular angles will allow for the building to gradually grow in height from the exterior towards it center, creating a fairly large building but one that doesn’t hover over the traditional low-level buildings in the immediate area. Additionally, the wide spaces in between the horizontal timber slats – a nod to the area’s former wooden market – will illuminate the interior with tons of natural light. The entrance of the museum will lead to a central atrium, made up of four boxes and lit from a skylight in the ceiling. The boxes slowly rise up through the design, giving the interior plenty of flexible exhibition space. The larger exhibitions will be placed at the bottom level while more intimate collections will be exhibited in the smaller boxes at the top of the building. 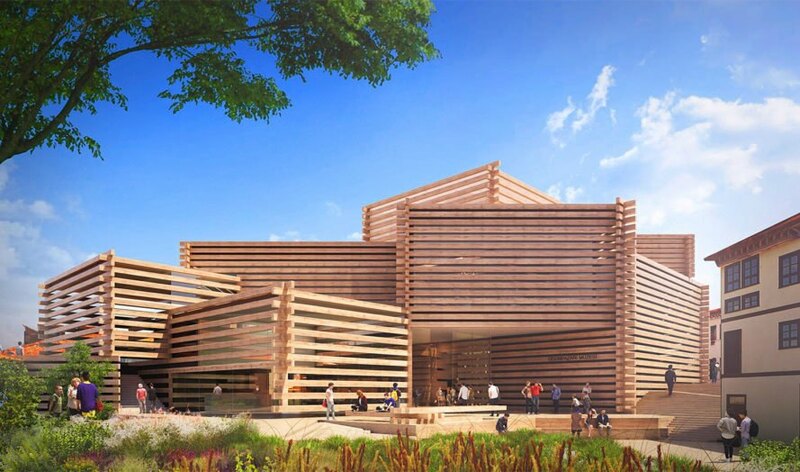 Prolific architect Kengo Kuma has just unveiled plans for an amazing timber-strong museum in Turkey. 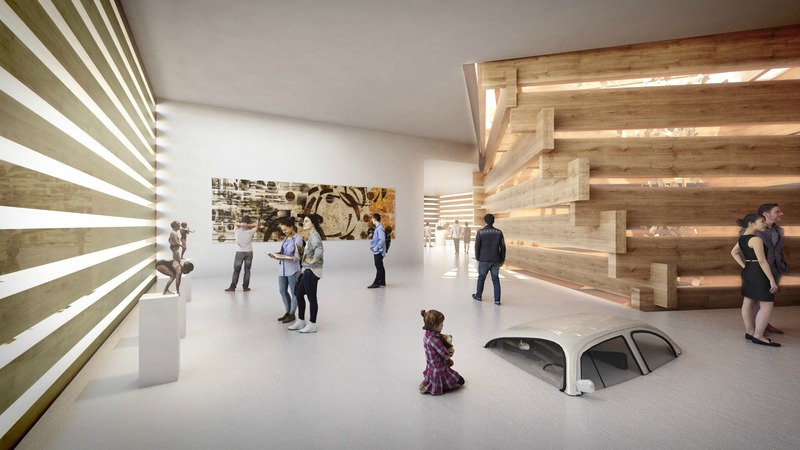 According to the renderings, the Odunpazari Modern Art Museum will be an expansive complex made up of obliquely stacked wooden boxes, which pays homage to the area's traditional wooden Ottoman residences. 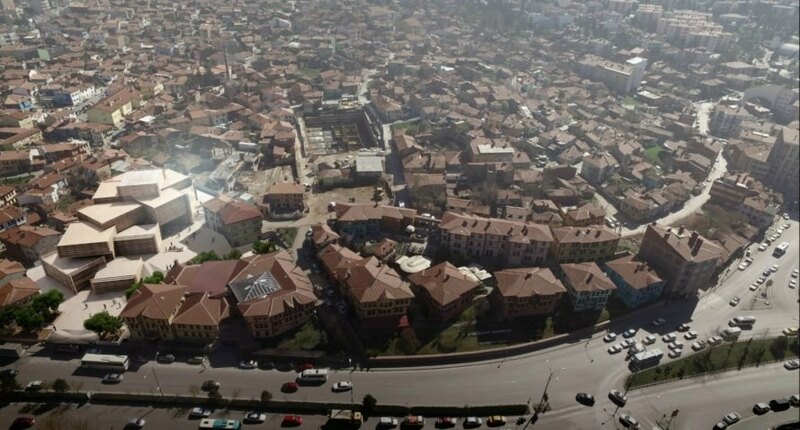 The modern art museum is planned for Eskishehr, a university town about three hours from Istanbul. According to the Kengo Kuma studio, the design focused on blending the building into the existing urbanscape while creating a cultural landmark for the city. The entrance of the museum will lead to a central atrium, made up of four boxes and lit from a skylight in the ceiling. Kengo Kuma's timber-clad Odunpazari Museum.